We are committed to delivering a quality product as well as providing customer service to assist you in the home buying process. 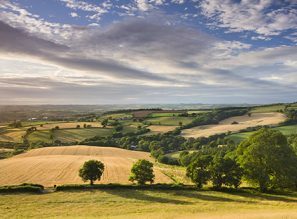 We will provide you with information on our development prior to you reserving a property. Our staff will be fully trained to answer any relevant inquiries you may have, or provide you with contact details as required. Our sales staff will give you full information on the home you have chosen. Our sales staff will outline our cancellation policy. For more information please see our Buying guide. Our sales staff will give you clear and informative information to guide you through the buying process. Our sales staff will assist in selecting your choices for your new home. You will be informed of the Health and Safety procedure for the development. You will be kept informed of the progress of your sale; on the progress of the construction and the completion date of your new home. Please refer to page 3.2 of the Consumer Code consumercodeforhomebuilders.com. Prior to occupation you will be invited to view your home and given a full home induction. On completion you will be given all guarantees and warranties for your home. We will provide you with information on our Customer Service procedure for after sales. Any emergency will be dealt with immediately. For more information please see the Customer service section of our Buying guide. Your new home will be covered by an overall 10-Year NHBC or LABC warranty with the initial 2 years covered by Devonshire Homes. 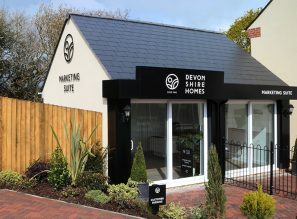 Devonshire Homes have adopted the Consumer Code for Home Builders, a copy of which is retained in the sales office for purchasers to view consumercodeforhomebuilders.com. We will provide you with details of who to contact if you believe we have not satisfactorily fulfilled our Charter Commitments. If your problem is not an emergency please write to ‘The Customer Service Manager’ outlining your issue(s). You can post this to our Head Office address or send via email to customerservice@devonshirehomes.co.uk. Please include your full address and telephone number in all correspondence.